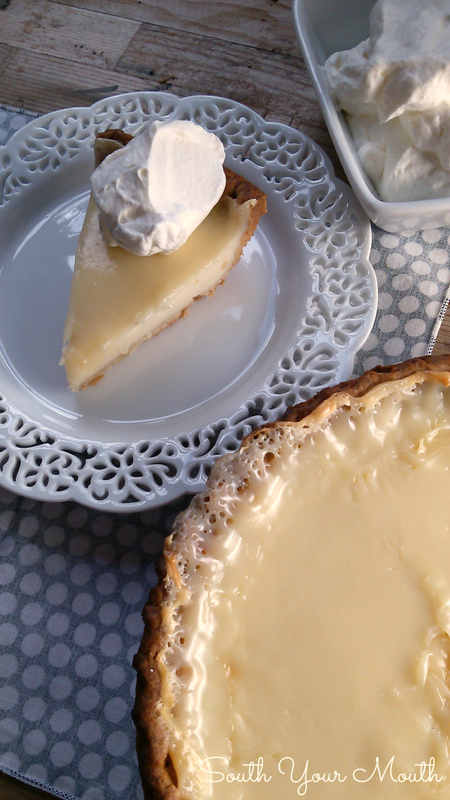 This Amish-style recipe for Sugar Cream Pie, with simple ingredients like sugar and cream, bakes into a creamy, caramelized, luxurious dessert. You know what I love about this pie? Well, first, let’s state the obvious: it’s pie. Amen? 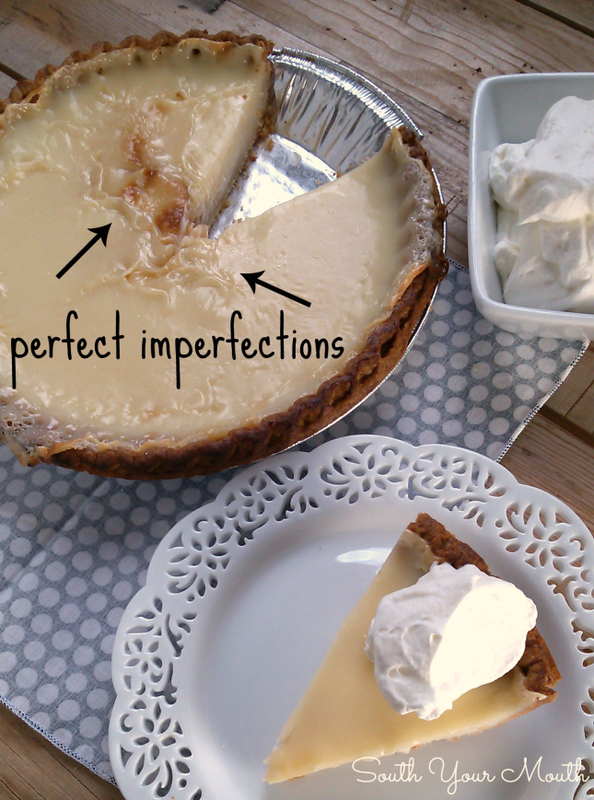 I love this pie because it’s perfectly imperfect. When it’s just about done, a couple big ol’ bubbles form on the top then pop and deflate. And then this wonky, almost whimsical, beautiful caramel-colored imperfection is left on top. It reminds me of a mommy’s tummy. It’s not smooth and perfect like it might once have been but it’s still beautiful if you look at it right. 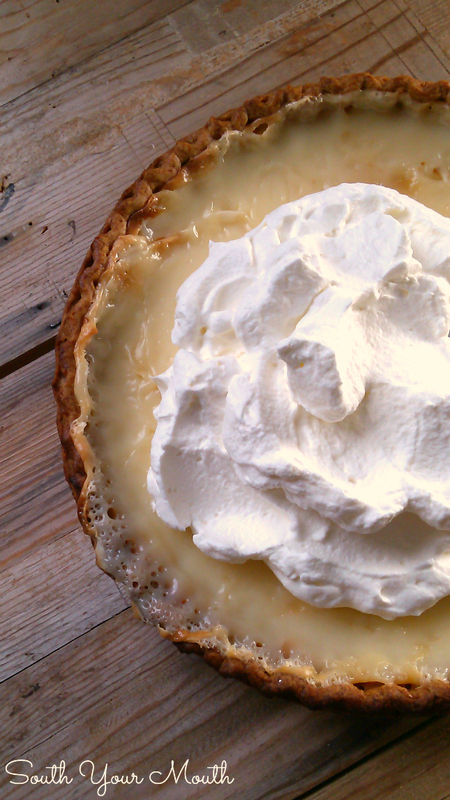 As the name implies, this pie is almost literally just sugar and cream. It’s a little like a custard except that there’s no egginess going on and you really taste the cream because the sugar highlights the natural sweetness of it. I grew up hearing Nanny and sometimes Daddy call cow’s milk “sweet milk” and that’s what came to mind when I first tasted this. Sweet milk. I tried to explain it to Husband by saying it’s like caramel that tastes like cream. He had a huh? look on his face until he tasted it and then his look said exactly! Combine sugar, flour and salt in a large bowl and mix with a wooden spoon or rubber spatula. Break up any lumps or clumps you see. Add vanilla and cream and stir for one minute or until sugar is somewhat dissolved. Do not use a whisk or electric mixer as we do not want to whip the cream at all before cooking. Pour cream mixture into the pie pastry (here's a pie crust recipe if you prefer homemade!). Place the pie on the middle rack of your oven then place a larger pan on the rack below the pie to catch anything if it spills over. Bake pie at 400 degrees for 20 minutes. Cover pie crust with aluminum foil or a crust guard. Rotate pie 180 degrees (just to make sure it bakes evenly) and continue cooking pie for 25-30 minutes or until edges of cream start to caramelize. It will still be jiggly - that's OK! Allow pie to cool to room temperature then cover and refrigerate for at least 4 hours or until set. Serve with fresh, slightly sweetened whipped cream. I just went ahead and bought a quart of cream so I’d have enough for the pie and for whipped cream. PS... I think this would be amazing with this recipe for Thai Tea! I am definitely making this pie! I'm familiar with Paula Haney, aka Hoosier Mama. I live in Chicago and when she was first starting out here, she sold her pies at my local city Farmers Market. They were melt-in-your-mouth, to-die-for pies, each and every one. You had to get to the market early before she'd sell out. This pie sounds and looks good ! You Ma'am have made my heart happy today. This was my very favorite pie growing up! After we moved north we made sure to buy one when we went back to visit (2 if we could afford it) but in later years couldn't find them in the stores. I am going to make this for my mom, boy will she be happy. Thank you so so much!! I hope y'all enjoy it! Lord, I hope it's as good as you remember! Guessing you didn't move to Indiana then. :) This is also known as "Hoosier pie" and is the state pie (we have a lot of Amish in the Shipshewana area). It's seriously yummy and this recipe looks great! this was supposed to be a reply to Corinna but I apparently can't internet today, lol. Grew up in Indiana. I always thought sugar cream pie was a Hoosier thing. Glad to see this recipe. I can't find it in Washington state to save my life. My husband accidentally bought a graham cracker crust when he bought my ingredients, but it turned out sooo good! I'll definitely make this again! 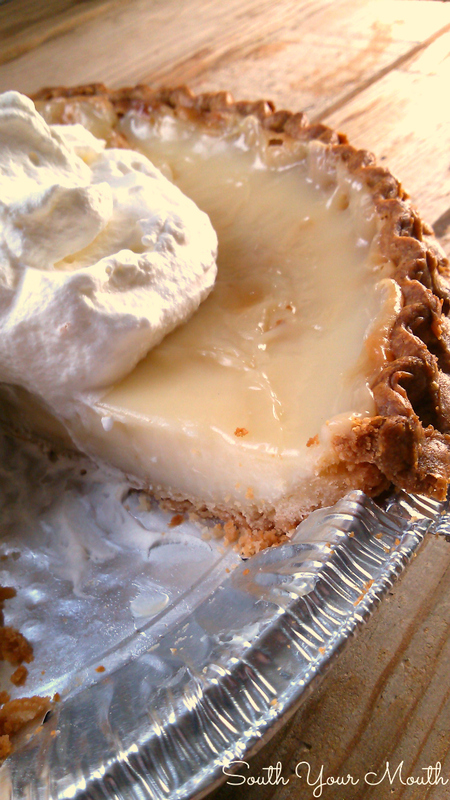 I have made this pie several times & it’s so addictive!!! It actually tastes better the next day imo. So delicious & sweet. Great with a hot cup of coffey for balance. I definitely recommend this to everyone with a sweet tooth. Plus it’s so easy to make!!! Where did you find your dessert plates?? I think I got these at Home Goods! I grew up on this pie in Indiana. Lot of Amish people around northern Indiana. My grandmother used to make them all the time. The BEST! She would have it for breakfast in the morning with her coffee.